Are you designing a new product? If so, it is imperative that you have a full understanding of the product prototyping process. No company should dive into full-scale productions, committing valuable resources to hundreds or thousands of units based only off of some general drawings or designs. You need a reliable prototype. Prototyping is essential, as you will not know if your drawings are manufacture ready until you’ve tested a prototype. To help you get started with your prototype, you’ll need detailed engineer’s drawings. Here, our experienced China product sourcing agent highlights some of the most important factors of the product prototyping process. The core purpose of prototyping a product is to ensure that you have a design that is workable, effective and that can be reproduced. To create a good prototype, you will need a clear, well-crafted design. In some cases, you may want to try multiple designs to ensure that you truly produce the best product. When it comes to product design, there are many strategies that you can use. You’ll need to determine the best material for your product. To create an accurate prototype you will need to work with an experienced engineer. At Global Trade Specialists, Inc., we have an engineer on staff who can help to design the product and get the prototype made. 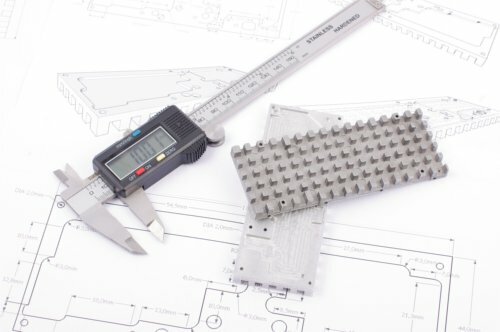 During the engineering and prototyping process, our engineer may make suggestions on how to make the design of your product more manufacture-friendly, which may help reduce manufacturing costs.